Employment attorneys are constantly on the hunt for decision-makers behind adverse employment actions. They are always looking to make sure that the decision-makers are also the bad actors, i.e. the individuals who harbor discriminatory intent. Sometimes, the decision-maker is a separate individual from the bad actor who holds discriminatory intent, and this can pose a serious hurdle in prosecuting an employment discrimination case. However, when in this situation, plaintiffs may utilize what is known as the Cat’s Paw theory. 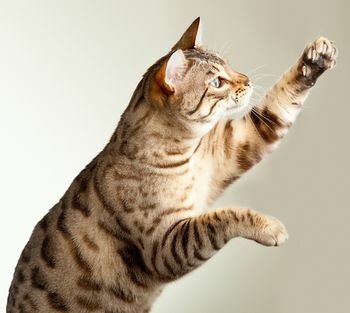 In Woods, the plaintiff attempted to use the Cat’s Paw theory, but ultimate failed because the final decision-makers relied upon information outside of the bad actor/discriminator. The plaintiff in Woods had an evidentiary termination hearing with the Public Safety Board prior to his termination. The plaintiff contended that the Chief, who recommended the termination, was the monkey in the fable, and the Board was the cat. The Seventh Circuit repeatedly stated that the mere act of holding an evidentiary termination hearing does not preclude the ability to use the cat’s paw theory. “[A] formal adversarial procedure does not automatically break the chain of causation.” However, in Woods, the Board relied upon information outside of the Chief/bad actor/discriminator, and in so doing, broke the chain of causation needed to support a Cat’s Paw theory of liability.